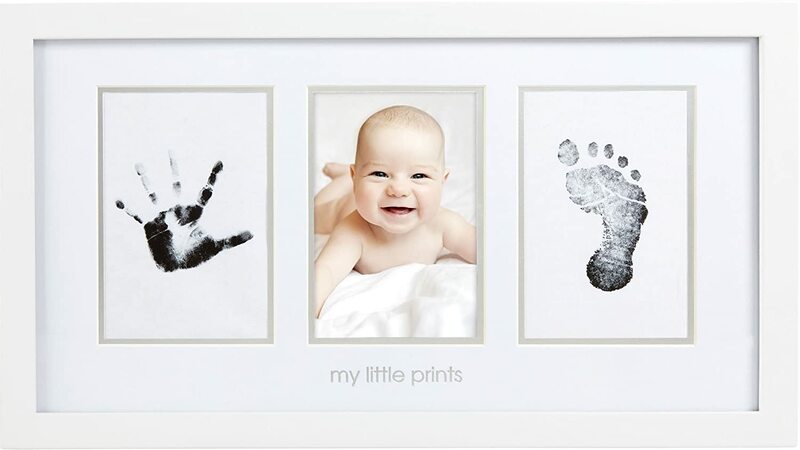 Capture and cherish your little ones prints forever with Pearhead’s babyprints photo frame. 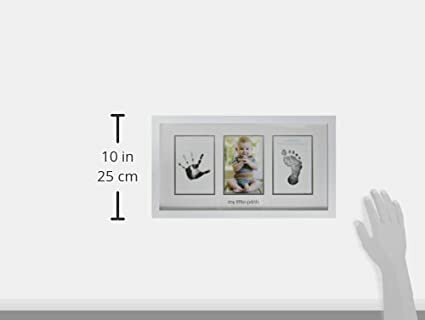 This modern white, wooden photo frame includes everything you need to create a personalized keepsake with your newborn baby’s tiny hand prints or feet prints. It includes a clean-touch ink pad ensuring baby’s hands and feet will never touch the ink and two impression cards. 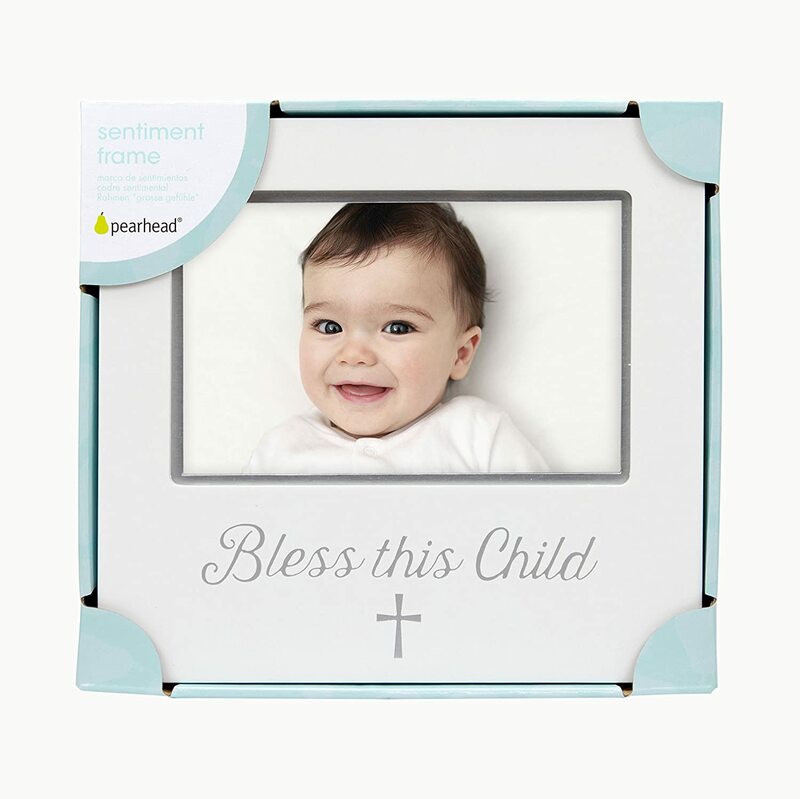 Keepsake frame comes in beautiful gift ready packaging. 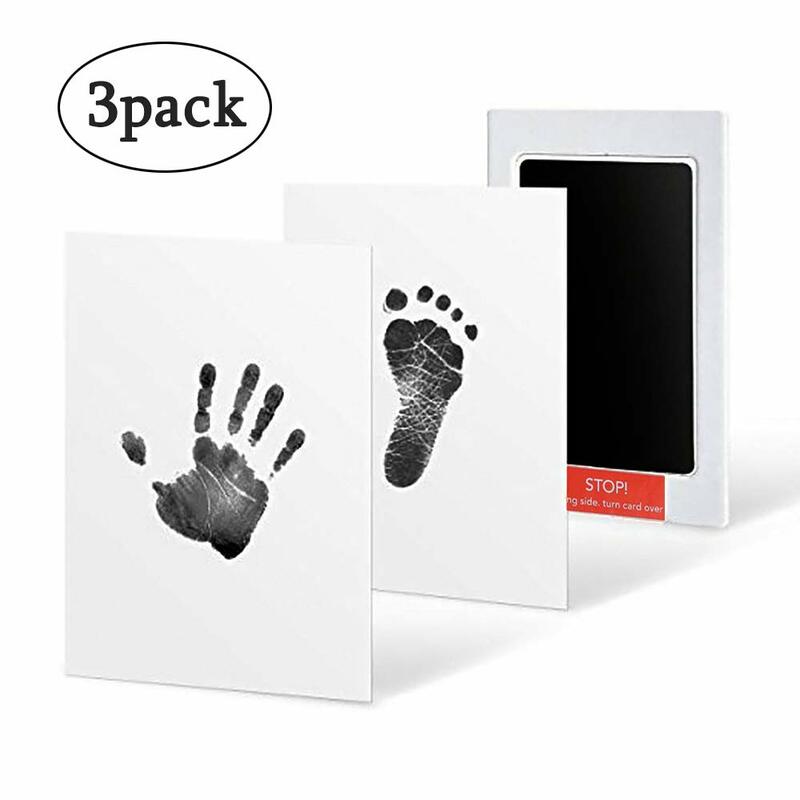 To create an impression, make sure the ink is facing down on the included white cards and press your baby's hand and foot separately onto the clean-touch ink pad. Your baby’s tiny prints will be left on the cards without any ink on baby! Let dry for 1-2 days. 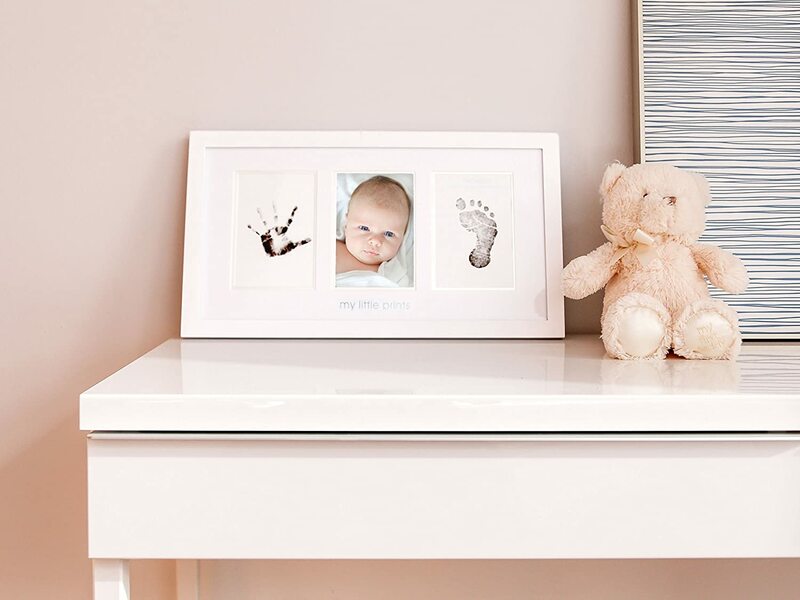 Then you can place the prints in the frame along with an adorable 4” x 6” photo of your newborn baby. 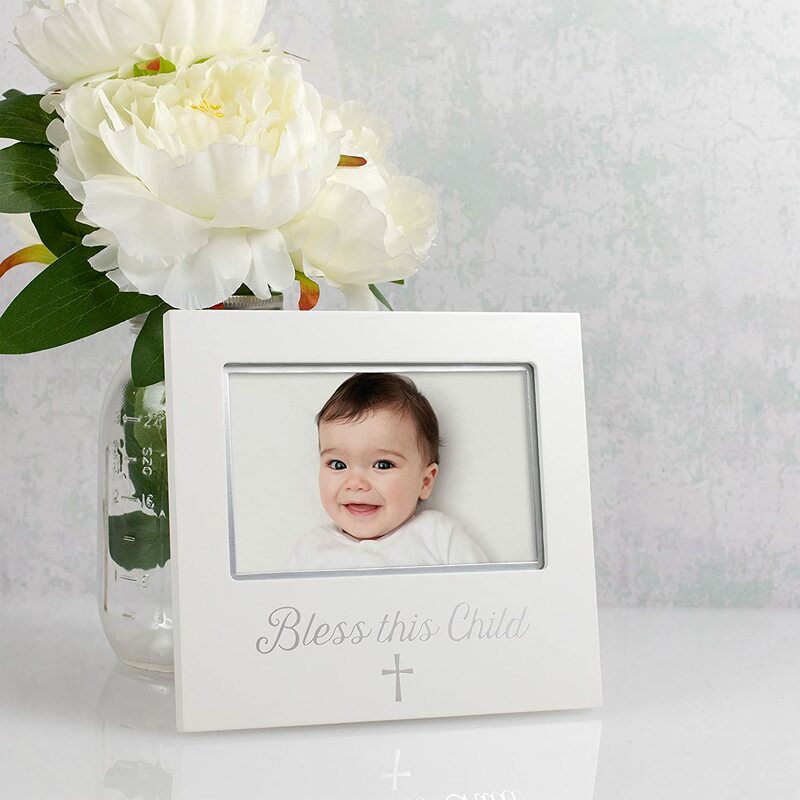 Any mom is sure to love the gift box packaging and special keepsake frame.The frame has silver details and includes an acid-free beveled mat, adding an elegant touch. “my little prints” is silver foil stamped on the front of the frame. Keepsake frame also includes a sawtooth hanger to easily hang on any wall in your baby’s nursery or around your home. Ink pad is good for two-time use maximum, recommended for newborns only. Ink pads will accommodate hand/feet up to 2.25” wide x 3.5” long. 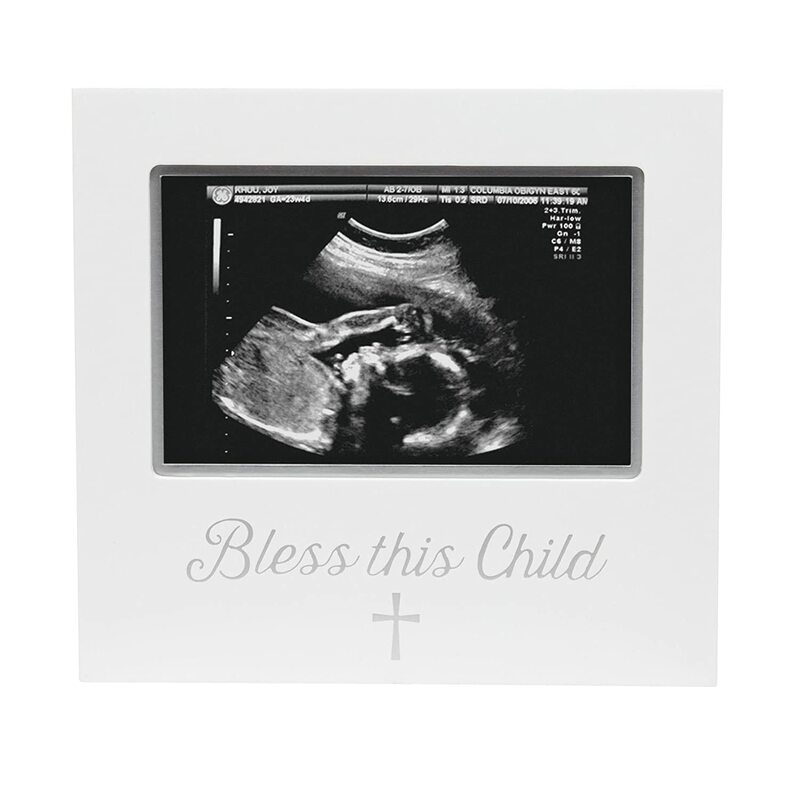 This frame is the perfect baby shower gift for any expecting parents! 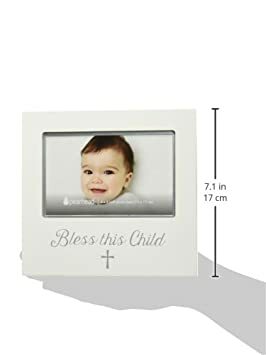 Keepsake frame will also make a special baptism or christening keepsake and unique thoughtful gift. 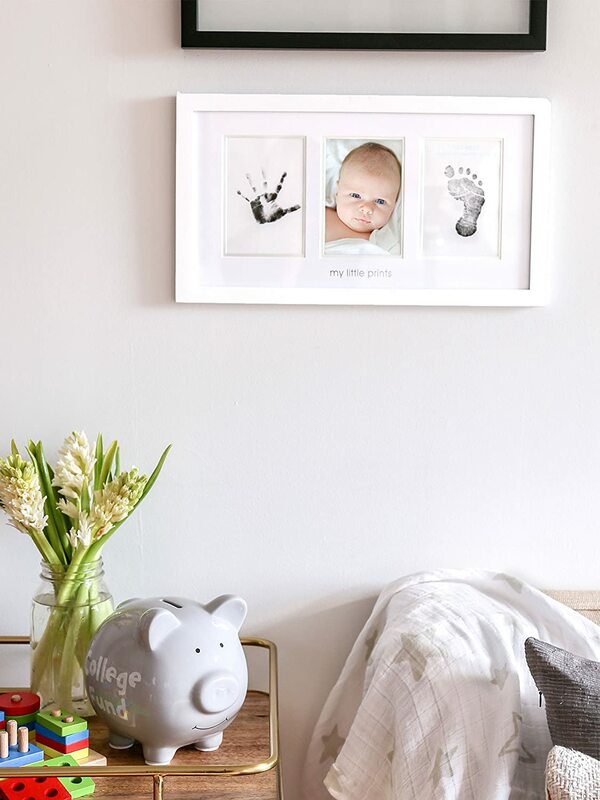 Now you will always be able to remember how little your baby's piggies were and cherish them with Pearhead’s babyprints photo frame. 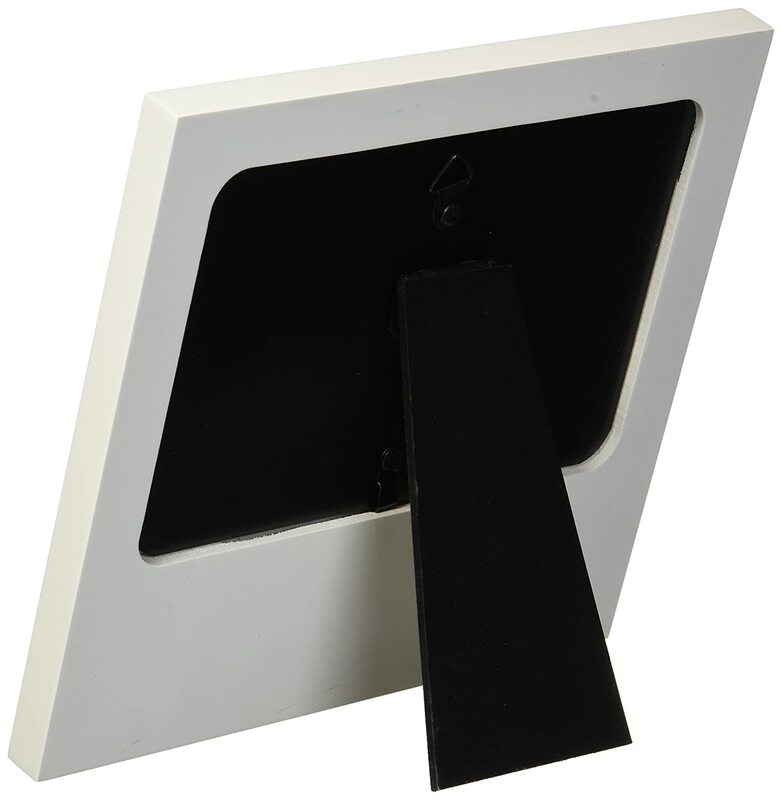 Product dimensions: 17” W x 9.50” H x .56” D; Photo insert: 4” x 6”. Great product! This is a quality frame and so easy to use. Beautiful as well. 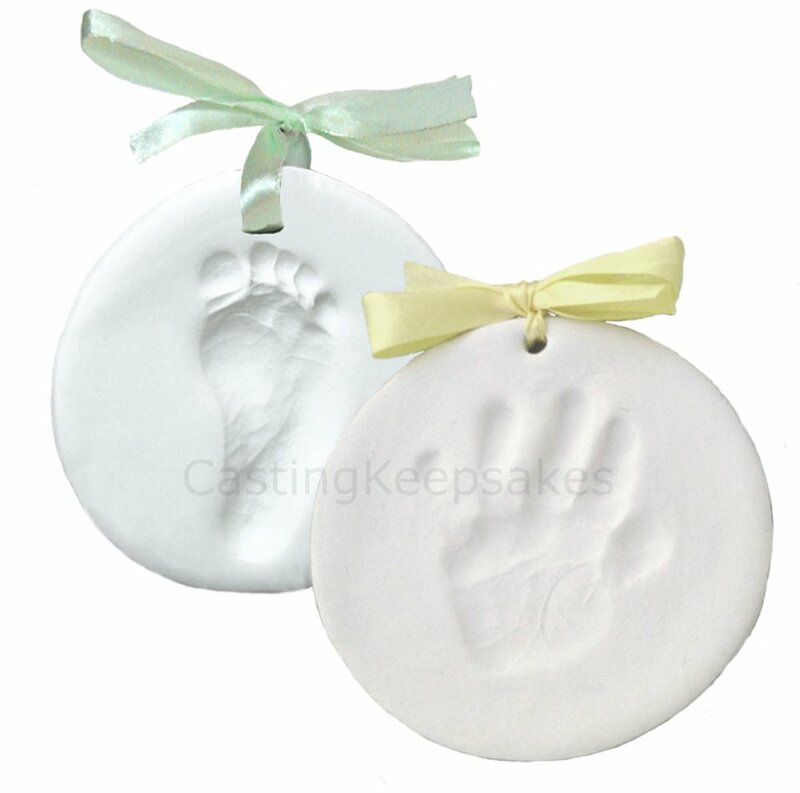 It was easy to transfer handprints and footprints onto the enclosed paper. They give you a few sheets in case you mess up. I even had some ink leftover and used it for the baby milestone book. It was an easy transfer with no mess. No inking the babyu2019s hand or foot. What a pleasure! My daughter was 13 months old when I made this and her foot and hand were a little to large to fit on the ink pad properly. Still turned out okay. Love this frame and the ink kit is very easy to use. It wonu2019t get your little ones hands or feet dirty. I wish this frame came in more color options. Also this frame can only be hung, it doesnu2019t come with the back part to let it stand on a table surface, it only has the little bracket to hang it. The overall quality is very good, I would recommend this frame and kit. We purchased one from another retailer for our first child and decided to get another for our second. Very nice frame! Fits 4x6 photo with a small silver edge around the picture. The wording and cross are also in a metallic silver print. Very classy! Great for display at my sons baptism. Ordered this as a new product, upon opening discovered that it was used and didn't include the acid free paper cards for the prints and the ink press has already been used, enough so that there's no ink left in places. Now I need to order a separate kit to get my baby's prints. This is ridiculous! Great idea. Frame is simple and clean. However, they should put some sort of film cover on the ink pad or something until it's ready to use. It just comes between two small cardboard pieces, and the ink side was stuck to one of them, so I pealed it off to find ink already transferred off. This frame is cute, but the ink pads are very difficult to use. I tried making the hand and foot prints when my daughter was asleep, but even the slightest movement causes a big smear on the print. I bought extra ink pads just in case, but still didnu2019t come out with great prints.